I recently gave an interview on the radio about how to raise kids who are financially literate. While it wasn’t about summer jobs per se, in the interview, we talked a lot about teaching kids about working and work ethic,(because I feel like people miss this connection) and summer jobs can help kids make that connection. Parents teach their kids about saving money or give them an allowance to teach them how to handle money. They might even teach them how to write a check or how a credit card works. However, what’s lacking in most financial education is this crucial, crucial connection between work and money. Kids have to understand that for the vast majority of us, you have to do work in order to get paid. The better your work ethic is, the higher your income can go. If you can combine a strong work ethic with an ability to handle the money you do make, then the sky is the limit. The reason work ethic matters so much is that it gives kids respect for money. If you just give them money as an allowance, there is no incentive to treat it well. However, if they had summer jobs that required them to rake leaves or scrub the kitchen floor, they feel every bit of that money they earned, which will make them more likely to think about how they spend (or save) it. So, with that said, here are some jobs your kid can do this summer to earn extra money while also developing a strong work ethic. Physical labor definitely helps drive home the message of work ethic, and there is perhaps no better summer job for a teenager than cutting the grass. The great thing about cutting the grass is that it gets your kid out exercising. Not only that, but if they work for a lawn service company or decide to start one of their own, they can learn a little bit about entrepreneurship, getting clients, getting paid and keeping track of their income. Working outdoors in the summertime can be hard because of the heat, but there’s no better time for your kid to do this than when they’re young. It sure beats sitting inside watching TV all day, and it can build some lifelong skills in the process. Many people think that being a lifeguard is an “easy” job because many lifeguards sit in their chairs all summer long. However, becoming a lifeguard requires some important training that can be useful in the future, when kids are done with having summer jobs. For example, if your child wants to work in the medical field someday, be an EMT in college or go to medical school in the future, CPR and first aid training will be useful. Being a lifeguard is really the first step to learning how to keep people safe, and in the event a lifeguard does have to use his or her training, it can make their job extremely worthwhile. The restaurant business is notoriously tough, but that’s why it’s such a good job for an older child, perhaps one who is between the ages of 16-18. The reason being a busboy is advantageous is that many restaurants require waiters to spend some time being a busboy before waiting tables. With experience working in restaurants as a high school student, your child could go on to work at expensive restaurants while in college and make as much as 10x what their friends are making in their minimum wage jobs in college. Although the work can be grueling, it’s less about the work itself and more about viewing the work as a stepping stone to higher paying jobs and of course instilling that sense of responsibility and work ethic. So, if there is a way to get your child out of the house, earning an income, and at the same time, having them being physically active at work, you’re combatting numerous problems at once. Then, they also get to earn money, which they can then spend or save, something you can also help them with. 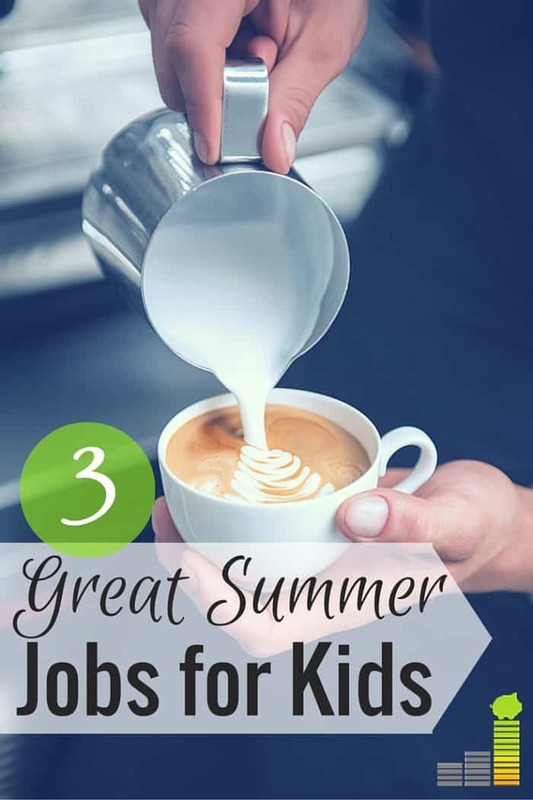 Ultimately, there are many choices when it comes to summer jobs for your child; these certainly aren’t the only options out there, but the ideas above are a good place to start. Did you have a summer job as a teenager? What type of work did you do? If you received an allowance as a child, did you have to work for it? Did doing chores around the house help you understand the connection between hard work and earning money or do you wish you would have had a physically laborious job to help you understand that? I had summer jobs as a teenager and both I hated with a passion. I can honestly say those were grueling years and definitely showed me how I DIDN’T want to live my life. They motivated me yo push towards more fulfilling work. Let’s not disregard the benefits of babysitting, which is a time-honored summer job that’s open to younger teens. First, childcare is hard work to do well. It takes a ton of creativity (and management skills) to keep kids organized, happy and occupied. It can be easy to slack off, but those who do don’t get happy clients and don’t make as much money. Second, kids who depend on babysitting for their income learn important skills, networking (good jobs are all about who you know) and negotiating in particular. I agree! I started babysitting at about 13, and I felt like I was rich every time I got paid. It’s a great way for kids to start working who might be too young to start a “‘real” job. This one hits home for me right now. My son is 15 and will turn 16 at the end of August. Although my husband and I have a very strong work ethic and are financially responsible, our son is not reflecting those values of late. But we may be at a crossroads now – he’s broke and we don’t give allowance, so if he wants to do anything with his friends, he’s going to have to figure it out! (Our daughter is 13 and completely opposite.) It will be interesting, and maybe a little painful, to watch. I never had a summer job growing up, and I’ve always regretted that. I’m a well-adjusted adult and everything, but my transition to the workforce after college was a rude awakening. I wish I had time while growing up in a protected environment to try working jobs like these. It’s not about the money; it’s the life skills you learn. Taxes, workplace etiquette, etc., are invaluable things to learn before becoming an adult. I think summer jobs are a great way to do that. I worked at Starbucks as a barista during high school. This was my first job ever and it taught me A LOT about the working world. It was a physically and mentally taxing job as I was in a busy store, but more importantly I realized the importance of consistent hard work to getting ahead. There were a number of people who worked there who had more “experience” in the coffee shop world, but they flamed out because they couldn’t handle the pace, came in late and were just overall lazy. There were grown adults! I made it a point to show up on time and always try to learn new things, and my manager really appreciated that and I was able to get promoted pretty quickly. I learned that most people are not willing to hustle and put in the hard work, so if you stay on top of your game, you will most likely find success. I used to work as a lifeguard when I was in college, and it was one of the reasons why I value money and work now. It was fun though, but it was a really serious job to handle. 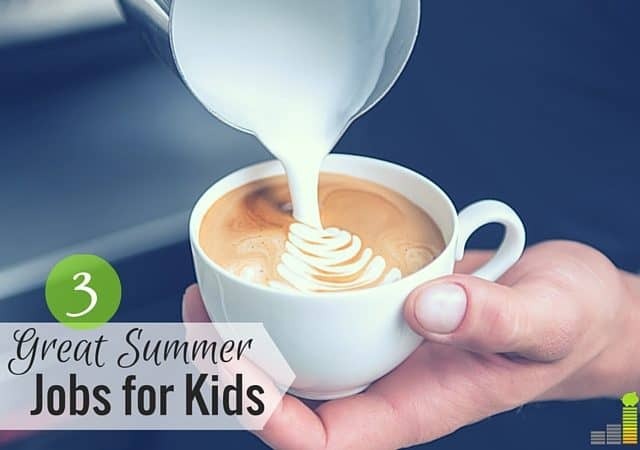 Forget just working in the Summer, kids can and should work year-round imo. I worked at Pizza Hut my junior year of high school and that instilled in me a great respect for the value of a dollar.